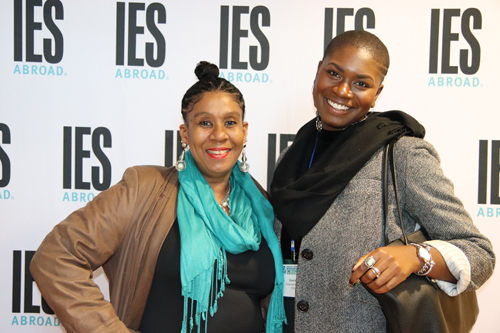 Study abroad professionals descended on Chicago for the 2018 IES Abroad Annual Conference from October 10-12th. We enjoyed meeting new colleagues and reconnecting with long-time friends from around the world. And if you weren’t able to make it – we missed you! 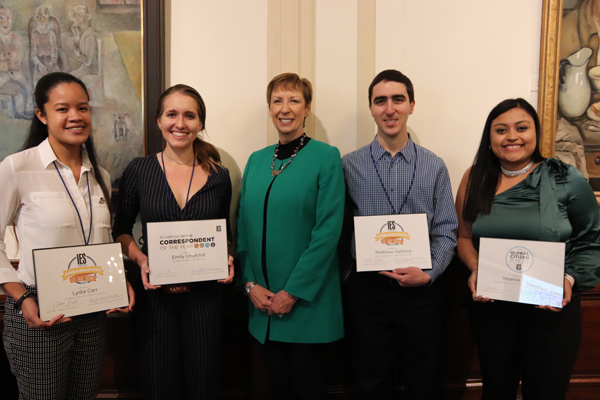 Over the course of three days, attendees had stimulating conversations with colleagues, participated in expert-led sessions, and celebrated the accomplishments of outstanding study abroad students and professionals. Frank Sesno helped kick off Thursday morning with a non-partisan analysis of the deeply partisan divide in American politics. As an internationally recognized journalist with more than 30 years of experience as an anchor, White House correspondent, CNN talk show host, and moderator, Frank shared his expertise on how politics, media, personality, and policy fit together in a compelling national story. Clint! Runge held our rapt attention as he unpacked the question of the year (and of the next several years!) 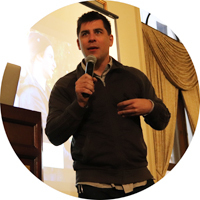 “Who is Generation Z?” As the Co-Founder and Managing Director of Archrival, a creative agency with an expertise in youth culture, Clint! 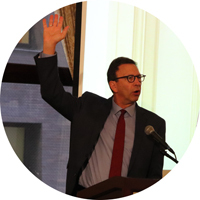 doesn’t just talk about Gen Z (those born roughly between 1995-2010), he talks with them, surveys them, and researches the defining trends of the generation – a generation of students we’ll work with for the next decade! In this news environment, we are pounded and pummeled by all this wrong, and we almost lose sight of what is right, and what is okay, and what is better, and what inspires us, and what moves us. With the focus on increasing diversity representation in study abroad, the field has paid attention to recruiting students of color to programs through inclusive marketing and various financial incentives. However, more attention can be paid to how we best serve students of color through advisement. This session drew from the Access, Inclusion, Diversity, and Equity (AIDE) Roadmap and the Top Five Tips to Developing a Diversity & Inclusion Strategy, created by the Race and Ethnicity Task Force of Diversity Abroad. Gone are the days of the millennial student. As noted above, for the next decade study abroad students are part of Generation Z – a generation that is achievement driven, action-focused, non-traditional, tech dependent, and determined to make the world a better place. This session looked at characteristics of Gen Z students at a macro level, and discussed how we can we speak their language, meet their needs, and gain their trust. This session discussed a variety of pro-active ways to help protect students from foreseeable harm by assessing and pro-actively managing known risks and dangers. Participants created an international risk plan for one of their institution’s international programs involving an inherently dangerous activity. Participants also learned practical steps for conducting and preparing multiple kinds of risk plans. Live! From Chicago! It’s Our Thursday Night Awards Dinner! It’s not every day you get invited onto the Saturday Night Live stage. But dreams did come true for four outstanding study abroad professionals Thursday night at our annual awards dinner. This year’s awards dinner was hosted in the SNL: The Experience exhibit at the Museum of Broadcast Communications. Attendees enjoyed a private viewing of the exhibit, walking day-by-day through the SNL production week from brainstorming to filming live. 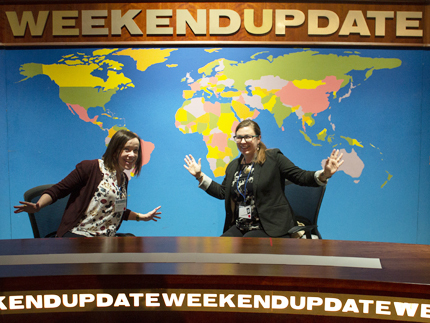 Dinner was served among iconic sets such as the Weekend Update desk and a full-size replica of the main stage in New York. 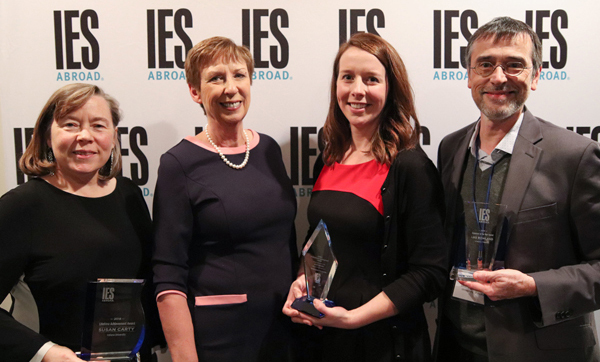 While no one gave their own improv comedy sketch, Dr. Mary M. Dwyer, President & CEO of IES Abroad, invited the following individuals to be recognized on the scale-size replica stage. 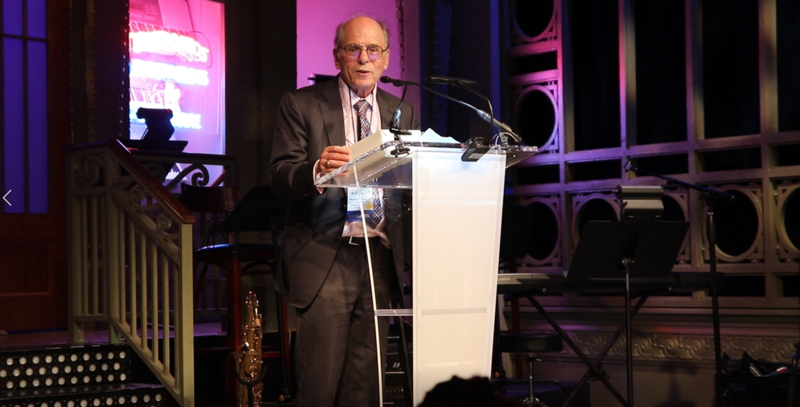 In celebration of his 42 years with IES Abroad, Michael Steinburg, who will retire at the end of the year, was invited to the stage to be recognized and say a few words as well. In January 2019, Dr. Michael Adewumi will step into the role as Executive Vice President for Academic Affairs. Do not forget that through one simple conversation or becoming a mentor, you can change someone else's world. Our 5th annual Film Festival received more than 96 submissions–the most-ever submitted to the Film Festival–and we couldn’t be more impressed with our students’ creativity! Annual Conference attendees saw a preview of each of the three finalist films along with a short intro of each student filmmaker on why people should vote for their submission. Voting ends November 5th! Kate Flannery, known for her role as Meredith on The Office, also gave a short appearance via video encouraging everyone to attend the Film Festival Event that she will host on November 7th in Chicago. J. Kline Harrison from Wake Forest University was announced as the new Chair of the General Conference, an elected position he will hold for a three-year term. We look forward to having him represent the Consortium to the IES Abroad Board of Directors. A special shout out to all of the people who have previously served on IES Abroad committees! We’re thankful for your time and dedication. The Graphic Arts Studio, Inc.
We already can’t wait to see you next year! Join us in October 2019 for another three days of learning, sharing, and being reenergized to serve your study abroad students. We’re looking forward to hearing about your professional experience and recent research in 2019 when we call for proposals. Interested in volunteering to be on the 2019 Annual Conference Planning Committee? Contact Rich Bartecki at [email protected]. Browse our Annual Conference Facebook album for more pictures of the dinner on the sets of SNL, conference sessions, and more.